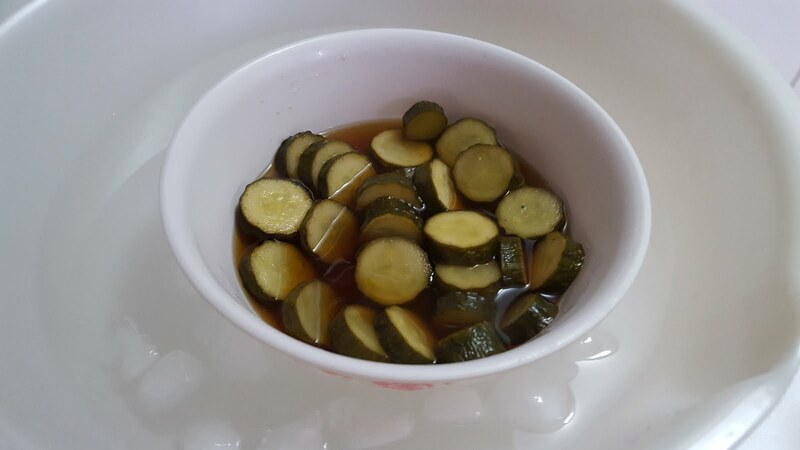 This is served as side dish in many Korean restaurant (usually served with western food). I thought of buying it in Korea but chanced upon a recipe from 백종원. This recipe is simple so have fun making lots of it, goes well with porridge. 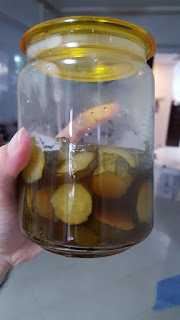 I used 1.5 cucumber, you can use any kind of vegetable (carrot, cabbage etc), just ensure that the vegetables are sufficiently submerged in the liquid (just like photo below). Add water, vinegar, sugar, salt and cucumber into a pot and boil over small fire. Please taste the stock before adding in the cucumber. You can adjust the salt level to your liking. Once it starts to bubble, add in a pinch of cinnamon and sprinkle of salt. Let it boil for about 15 seconds more then off the fire. Transfer content into an ice bath to cool it down. Then store it in the fridge.